Growing up I was enamored with Superman! (Let's be honest. I still am). And Superman was for truth, justice, and the American way! Superman shaped how I saw America. Superman was the greatest superhero ever. 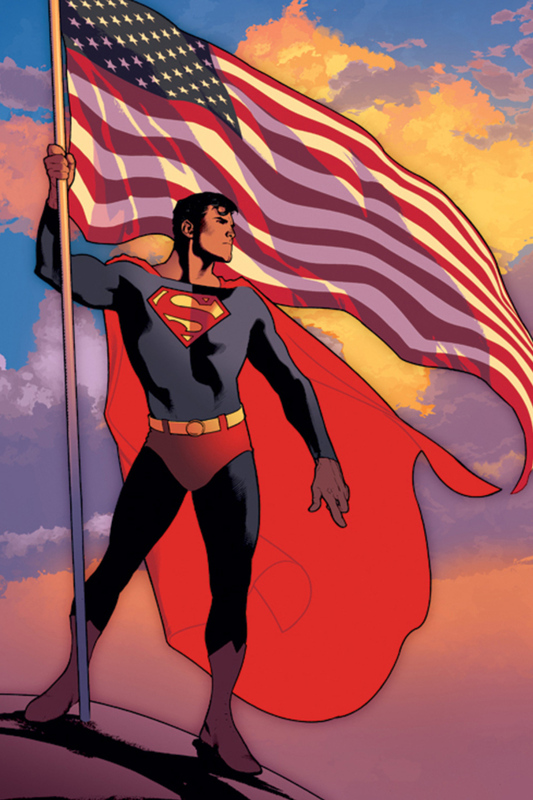 So, if Superman endorsed "The American Way," count me in. But recently, my fond memories of the phrase, "The American Way," have been challenged. As I've watched the news and scrolled through Twitter, I've begun to ask the question, "What does the phrase 'The American Way' even mean? I am not necessarily trying to make a value judgment about whether or not America was great, is great, or will be great again. Certainly there have been things in our history... like slavery and 'abortion on demand' to grieve over. There are other historical movements like the Great Awakenings and the modern missions movement we can celebrate. But this is beside the point. The first question I'm asking is, "What is 'The American Way'"? When asked this question, here are some of the answers people share. The characteristics and values that make up the "American Way" are: innovation, individualism, power, capitalism, freedom, "me first." So, now I ask, "If this is the "American Way," is this the "Jesus Way"? In the Bible, Jesus calls himself the way, the truth, and the life. "The Jesus Way" is exclusive. He is the only way to the Father. Jesus's exclusive claims as our Lord remind us that, as Christians, we are not of this world. We are citizens of another realm. Now the whole offer which Christianity makes is this: that we can, if we let God have His way, come to share in the life of Christ. If we do, we shall then be sharing a life which was begotten, not made, which always existed and always will exist. Christ is the Son of God. If we share in this kind of life, we also shall be sons of God. We shall love the Father as He does and the Holy Ghost will arise in us. He came to this world and became a man to spread to other men the kind of life He has — by what I call "good infection." Every Christian is to become a little Christ. The whole purpose of becoming a Christian is simply nothing else. As we are formed into little Christs, God will use us to shape and form others to walk in his way. This certainly requires taking responsibility. We can—we must!—take responsibility for the way we live and work in our homes, neighborhoods, places of work, and the public square. We must not permit the culture to dictate the way we go about our lives. Being formed into the image of our Savior is also a powerful way. But the power is not ours. It's the way of the cross, where God demonstrates his power--not through our ingenuity or our political or financial strength--but through our weakness. 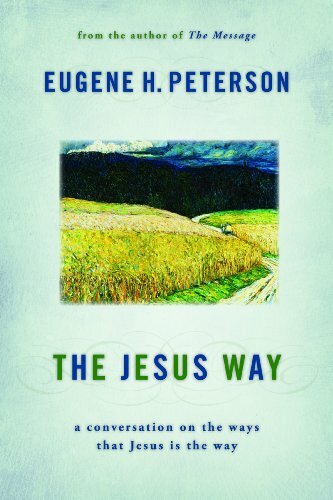 "The Jesus Way" is preeminently a way of humility, compassion, empathy, and serving others. As we celebrate the birth of our nation later this week, many of us will have more time with our close family and friends. Each day, we'll have choices before us. Will we choose a "me first" policy or one that is characterized by humility and servanthood? It is great to be proud of the country we live in. But, this week, let's take pride pride in our new kingdom, the one that surpasses all we experience here. At first, Nebuchadnezzar is delusional (Daniel 3:4-6). In a fantastic dream, God revealed to king Nebuchadnezzar that his kingdom would not last. Another king would succeed him. Ultimately God's forever kingdom would crush Babylon and every other human dominion (Daniel 2:44-45). But somehow that powerful message was lost on Nebuchadnezzar. He completely missed the point. Instead of reacting to God's vision of the future with humility, he apparently only remembered that he was the "head of gold." So the king set up a 90 foot high image of himself and summoned all of his royal leaders as well as all nations and peoples of every language to come and bow down. He led the people in an idolatrous direction, and he led them there with threats: "Whoever does not fall down and worship will immediately be thrown into a blazing furnace." Nebuchadnezzar becomes aware of God's goodness and greatness (Daniel 3:29). After God delivers the three friends--Shadrach, Meshach, and Abednego--from the fiery furnace, it seems that Nebuchadnezzar has his first major realization. The friends refused to bend or bow, and the king was enraged. So he heated the furnace seven times hotter and threw them in. At that moment, Nebuchadnezzar witnessed God show up. He was amazed. There was a fourth man in the fire--someone like a son of the gods (Daniel 3:25). The king inspected the men and discovered the fire hadn't touched them. They didn't even smell like smoke! So he immediately issued another decree. Once again he wrote to the people of any language or nation. Now he was leading the people toward the true God. But he was still leading with threats: Anyone who "says anything against the God of Shadrach, Meshach and Abednego will be cut into pieces and their houses will be turned into a pile of rubble (Yikes! ), for no other god can save in this way." Nebuchadnezzar becomes aware of his sin (Daniel 4:1). Daniel chapter 4 begins with another decree from the king. Once again he writes to the nations and peoples of every language who live in the earth. The opening reminds us of the king's two earlier attempts at directing the people's worship. But this time the threats are gone. As commentator Ernest C. Lucas observes, "He no longer relies on the power of physical force but the power of personal testimony." In light of what's happened before, the king's words are amazing: "It is my pleasure to tell you about the miraculous signs and wonders that the Most High God has performed for me." Nebuchadnezzar was humbled. He'd stood on the pinnacle of power and the roof of his palace and he bragged about all he'd done for his own glory and fame (Daniel 4:30). Then he broke. God drove him from men. Nebuchadnezzar lost his mind. He lived in a field and ate grass like an ox until he acknowledged God's sovereignty and his own weakness: "I, Nebuchadnezzar, praise and exalt and glorify the King of heaven, because everything he does is right and all his ways are just. And those who walk in pride, he is able to humble" (Daniel 4:37). Too often I lead like young Nebuchadnezzar. I'm short tempered and proud. I might lead in the right direction, but I don't lead in the right way. And I don't think I'm alone. Sadly, Christian leadership often looks more like the Nebuchadnezzar of Daniel 3:29 than the Nebuchadnezzar of Daniel 4:1--using what power we have in a coercive way to our own ends. May the Lord help us grow in self-awareness. May he help us see both the greatness of his salvation and the depth of our own need and sin. I thank God that he humbles the proud and gives grace to the humble. Do you have a testimony to share about a way God has humbled you? Share it in the comments below.